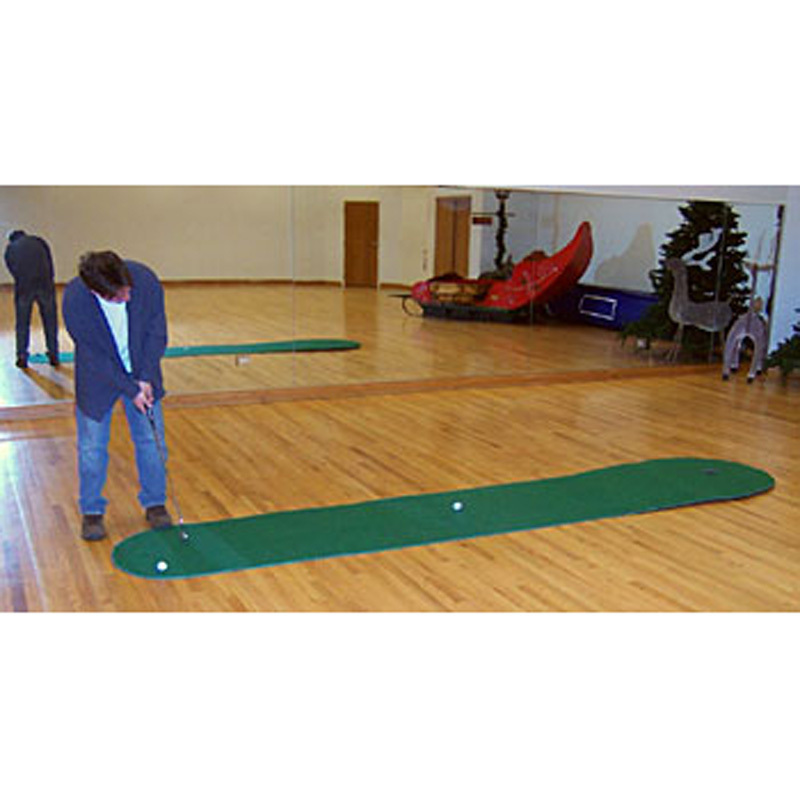 Big Moss Golf Augusta Ex 4' X 15' 1cup The Augusta putting green is a 4' x 15'premium putting and chipping green. This green was Created for the Better Player. The extra Length provides more Chipping landing area,and longer putts. RVF Realistic Visual Feedback, feels like your on a real green! As with all Big moss Putting Greens, the ball Drops into a Regulation Cup. Add our Exclusive Hole Reducer for putting at a smaller target. You'll Love this one! Your Friends will ask where did you get this? Bigmoss.com ! Perfect for home and office use, it offers unmatched versatility for teaching and year-round practice. It rolls like a freshly-cut bent grass putting green with a True-Roll down grain built right in. It is completely portable and sets up in minutes without tools. Break Snake provide unlimited contours that you can create. Make putting fun and exciting, anywhere you go. Compete with family and friends of all ages and improve your game while enjoying yourself. Included:Small chipping mat, 1 break snake,2 chipping balls, manual included!